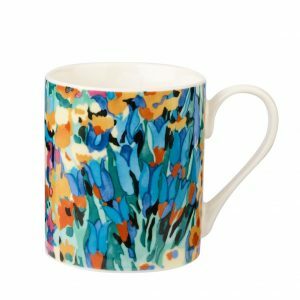 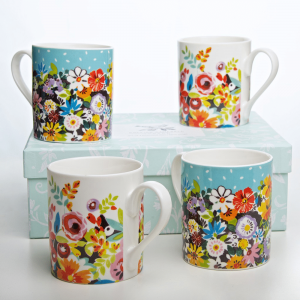 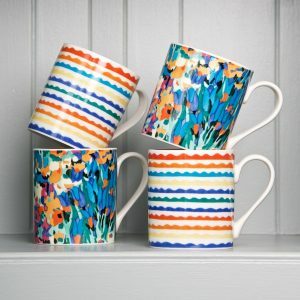 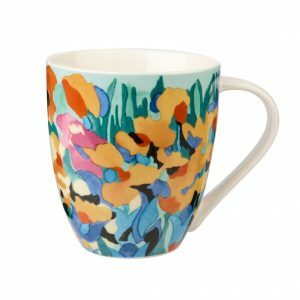 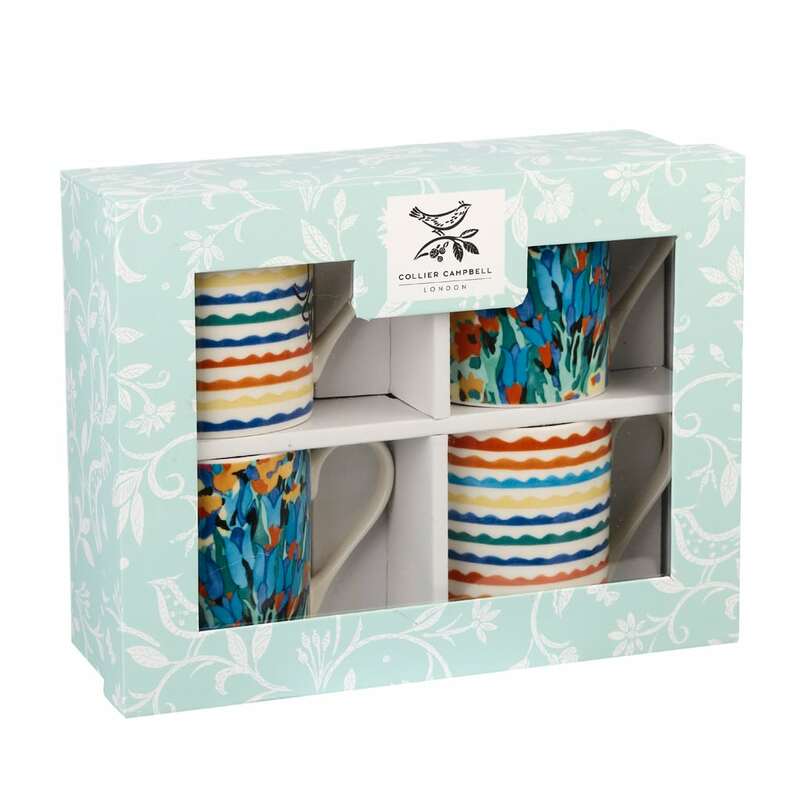 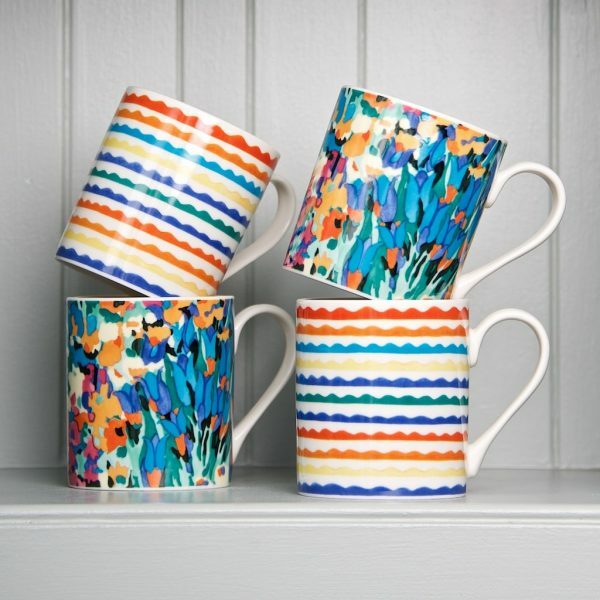 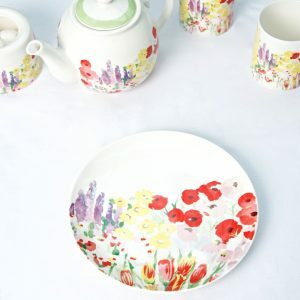 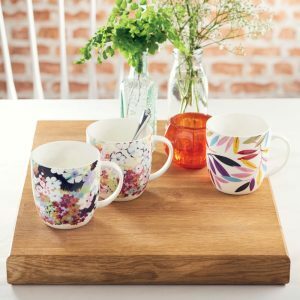 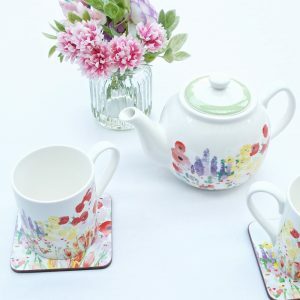 A set of 4 fine china mugs in two co-ordinating designs, Floral Fantasy & Frillykin Stripe, taken from our original hand-painted designs in beautiful colours of poppy red, tangerine, grass green, primrose yellow and violet. 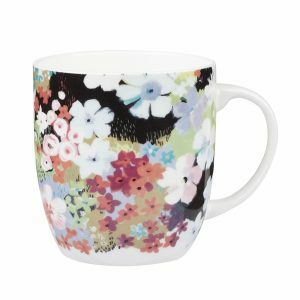 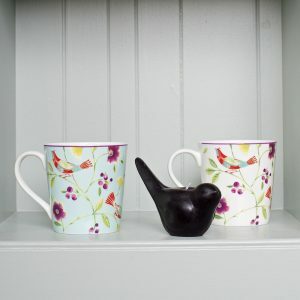 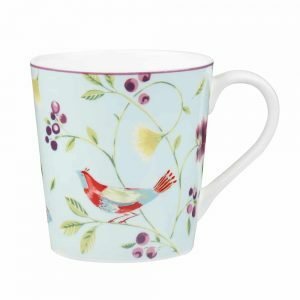 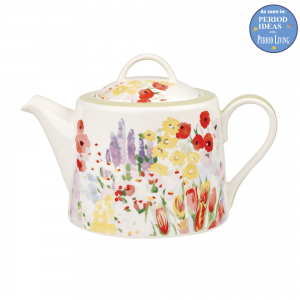 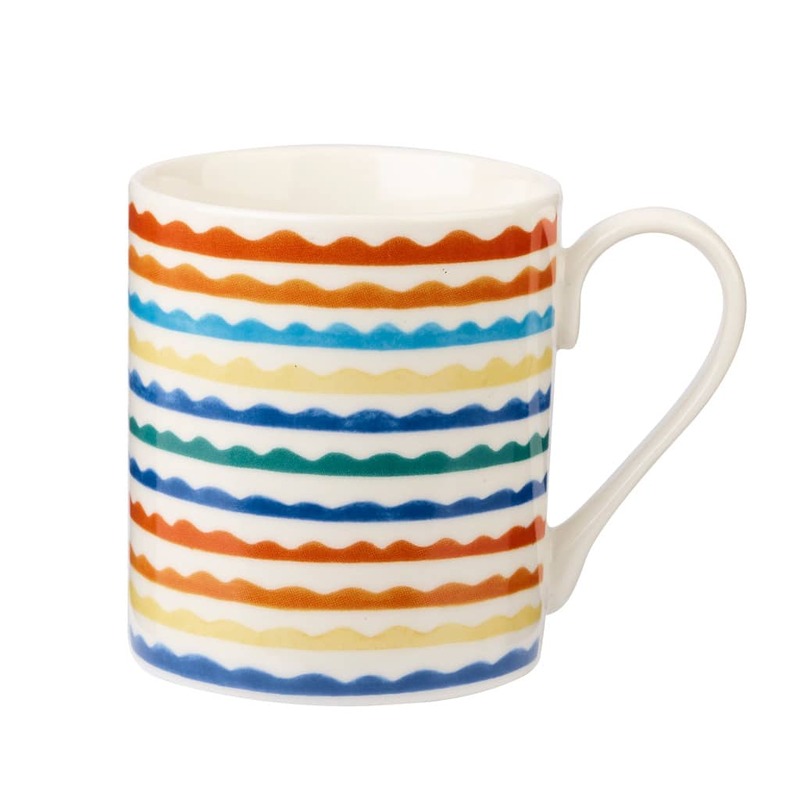 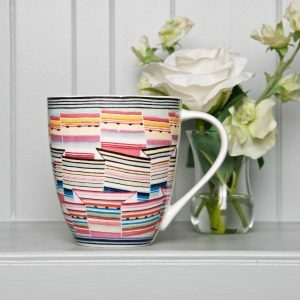 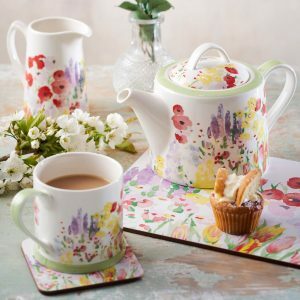 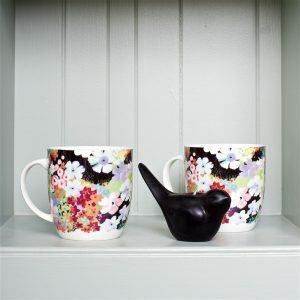 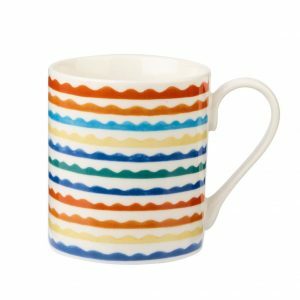 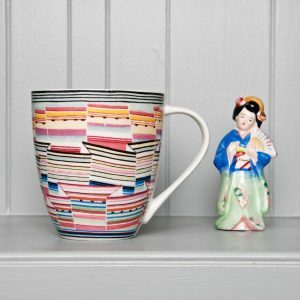 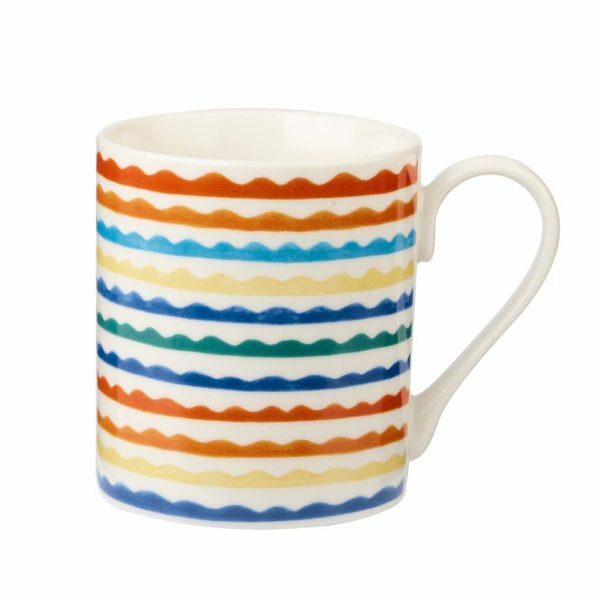 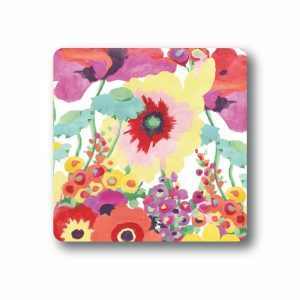 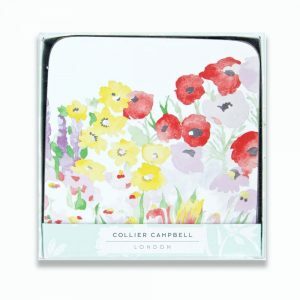 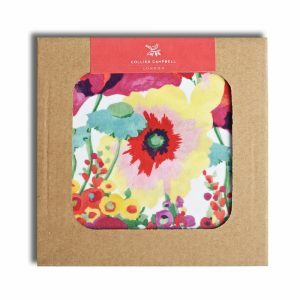 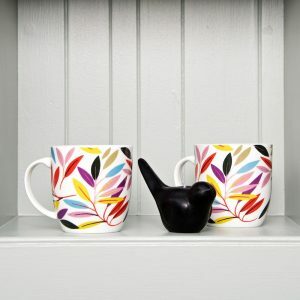 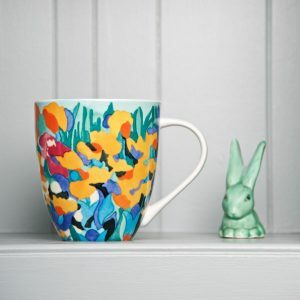 Lovely to drink from, with a comfortable handle and just the right size for tea or coffee, they are a great way to brighten up your home or office. 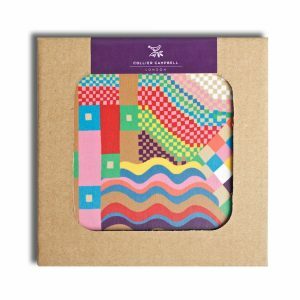 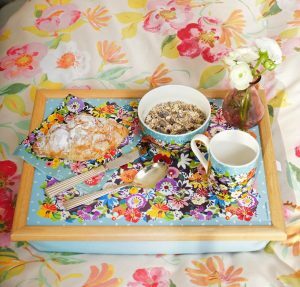 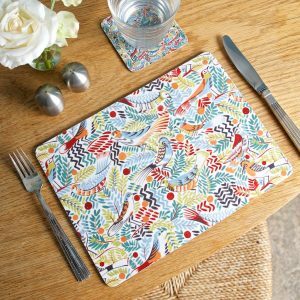 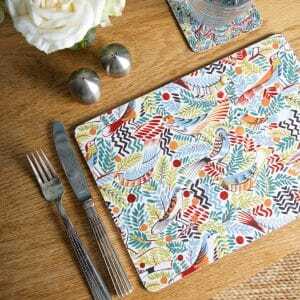 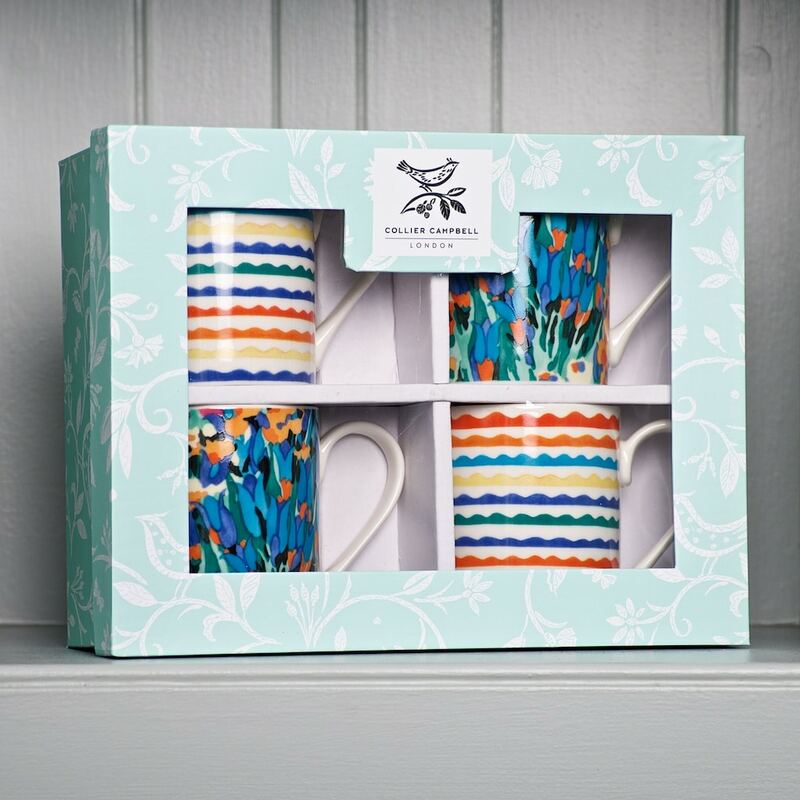 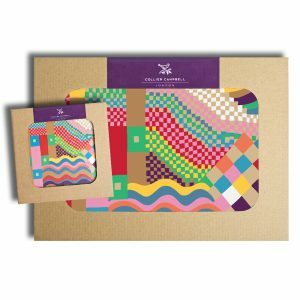 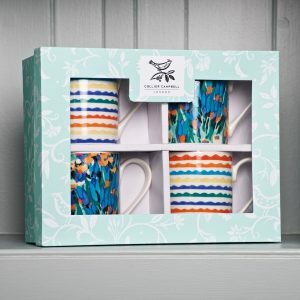 In a lovely aqua box decorated with our ‘Bird on Branch’ design – the perfect gift for a birthday, wedding, new home, or as a thank you present for an overnight stay with a friend.